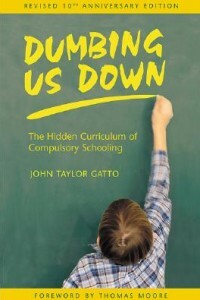 John Taylor Gatto has written and spoken some revolutionary things about education and schooling. He was an award-winning teacher in NYC schools for many years, respected and recognized by students, peers, parents, and educators. He came to realize though that schools too often function as limiting rather than beneficial influences on the children who attend them. He embraced other forms of education as more viable, healthy, and productive. Though Gatto’s writings can be thought of as revolutionary, they also express the simple, common sense idea that in the clasroom model of schooling, we may have woven a web that’s far too complicated. He suggests that we put it all in perspective by remembering that we weren’t always educated in large groups! 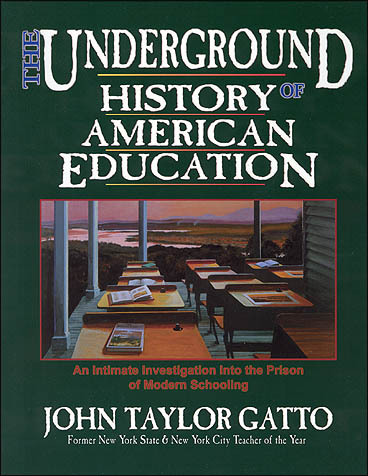 In “The Underground History of American Education” Gatto reminds us of this, “At the age of 12, Admiral Farragut got his first command. I was in fifth grade when I learned of this. Had Farragut gone to my school he would have been in seventh.” Sobering. One of the things I appreciate most about Gatto’s writing is the way he lifts the veil of illusion and parts the curtain to let the light of day and common sense in. 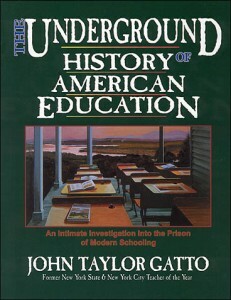 The following excerpt is taken from The Underground History of American Education (p. 51). Gatto explores the difference between public school issued versions of literature and the real thing, a book taken off a library shelf. And goes on from there to describe the difference between schools and libraries. “One way to see the difference between school books and real books . . . is to examine different procedures which separate librarians, the custodians of real books, from schoolteachers, the custodians of schoolbooks. 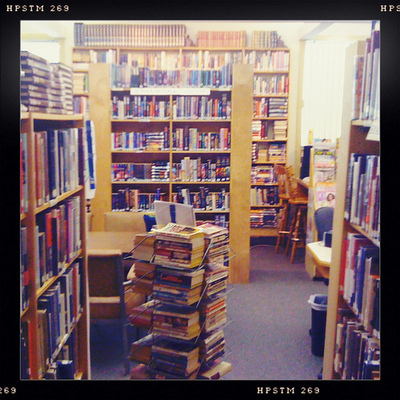 To being with, libraries are usually comfortable, clean and quiet. They are orderly places where you can actually read instead of just pretending to read. For some reason libraries are never age-segregated, nor do they presume to segregate readers by questionable tests of ability any more than farms or forests or oceans do. The librarian doesn’t tell me what to read, doesn’t tell me what sequence of reading I have to follow, doesn’t grade my reading. The librarian trusts me to have a worthwhile purpose of my own. I appreciate that and trust the library in return. Some other significant differences between libraries and schools: the librarian lets me ask my own questions and helps me when I want help, not when she decides I need it. If I feel like reading all day long, that’s ok with the librarian, who doesn’t compel me to stop at intervals by ringing a bell in my ear. The library keeps its nose out of my home, it doesn’t send letters to my family, and it doesn’t issue orders how I should use my reading time at home. The library doesn’t play favorites: it’s a democratic place as seems proper in a democracy. If the books I want are available I get them even if that decision deprives someone more gifted and talented than I am. The library never humiliates me by posting ranked lists of good readers, it presumes good reading is its own reward and doesn’t need to be held up as an object lesson to bad readers. One of the strangest differences between a library and a school is that you almost never see a kid behaving badly in a library. Should School Be Boring? John Taylor Gatto Says No! Active Learning! Is It the Way Children Learn Best? Thank you. Our libraries are such a wonderful resource. Wish our schools were more like them! subject. Fine with your permission let me to grab your feed to keepp up to date with forthcoming post. Thamks a million and please carry on the gratifying work.